Just when you think three pairs of fluffy socks should do the trick, the temperature drops another five degrees and everyone’s toes practically turn to icicles. And although the kids never seem to notice that their feet are so cold their joints have gone stiff, you know that the whole family needs slippers. 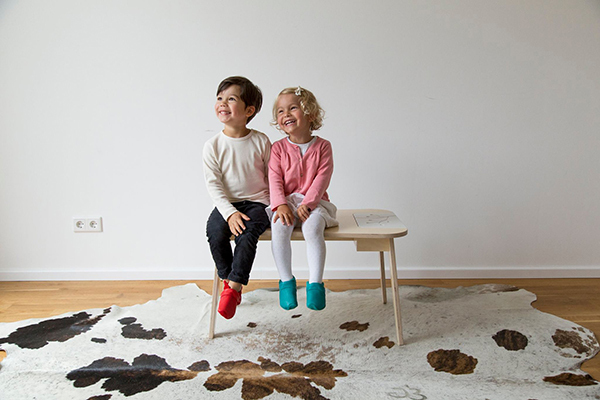 Folks, look no further: Lieblinge, which means darling in German, is a range of buttery soft shoes for toddlers, plus wool and leather slippers for adults. The brand is so stylish, it was showing at Playtime Paris this year. Lieblinge shoes are created by a husband and wife team who are shoemakers by trade and earned their stripes teaching footwear design and construction at a German art academy. The fashion design background shows. 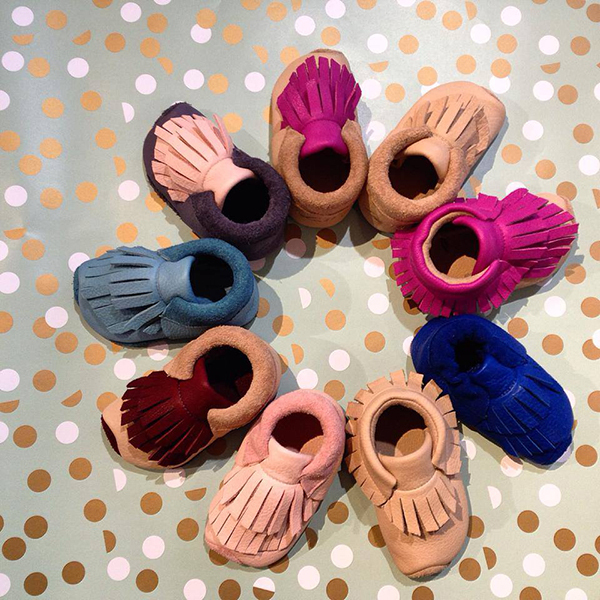 Lieblinge baby shoes are soft and flexible for little ones learning to walk, and they also capture the style zeitgeist with gorgeous details like fluoro pink tassels and soles (€56), or the clog-like turned up toes on the bright turquoise and mango shoes (€45). Seem pricey for baby shoes? Not when they’re so flexible they grow two whole sizes bigger. The secret is apparently in the cut of the shoe. The turned-up toe isn’t just adorable, it’s functional: as feet grow, the design stretches outward, but kids’ toes don’t push uncomfortably on a seam. For grown-ups there are Merino wool clog slippers (€65) in grey and navy if you’re into neutrals, or rich pink and petrol blue if, like for me, everything colourful is your weakness. Our favourites are the felted wool slip-ons (€70) with tan leather soles. Sadly they don’t ship to Australia, but perhaps a whole crowd of Babyology followers speaking up on their Facebook page will convince them to start!